If you have read any of my previous blog posts you are probably well aware that I love citrus fruits, particularly lemon. Imagine my excitement then, when the May Bon Appetit arrived on my door step and I greedily/nerdily thumbed through only to find this recipe for tiny, gorgeous vanilla bean and lemon panna cotta with lemon marmalade. I admit, I have not yet gotten around to the panna cotta themselves (gelatin makes me nervous!) but I have made the marmalade. Delicious. Now, after all that gushing, it may seem nuts to hear that I actually have a love/hate relationship with marmalade and it’s only in the last few years that I have considered it a go-to condiment. Because it has been so far off my radar, I never noticed commercially available lemon marmalades and I certainly never considered making one. Now that I have, I doubt I will ever buy it again. What is so exciting about a good basic recipe is that you can re-interpret it as many times and ways as you like and keep yourself quite busy with new ideas. Once I expanded on the original Bon Appetit recipe to make this drunken version, my mind reeled at the other flavour combinations that I could try: grapefruit, lemon and orange, just lime, etc., etc., etc. Then came ideas for other add-ins like other fruits (lemon strawberry!) or herbs (basil! lavender!) even spices (orange with cinnamon and star anise!). 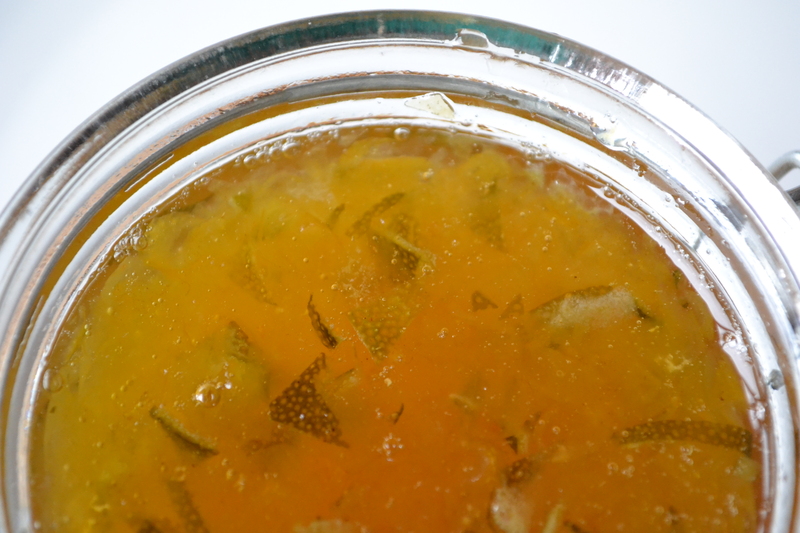 Variation on a theme is what got me to this delicious Gin and Citrus Marmalade. I had lemons, I had limes. I always have gin. As we know, lemon and/or lime with gin is fantastic, though usually ice and tonic water join in on the fun. I didn’t want the gin to take over, but I wanted it to be present, so I cast it in place of the water. The cooking process obviously removes the alcohol but what we are left with is a citrus, sweet, herbal flavour that is as good on ice cream or yogurt as it is on toast. I haven’t tried it on fish yet, but I’m willing to guess that it could work with grilled salmon, maybe even chicken. Give it a whirl, let me know what you think. Enjoy! 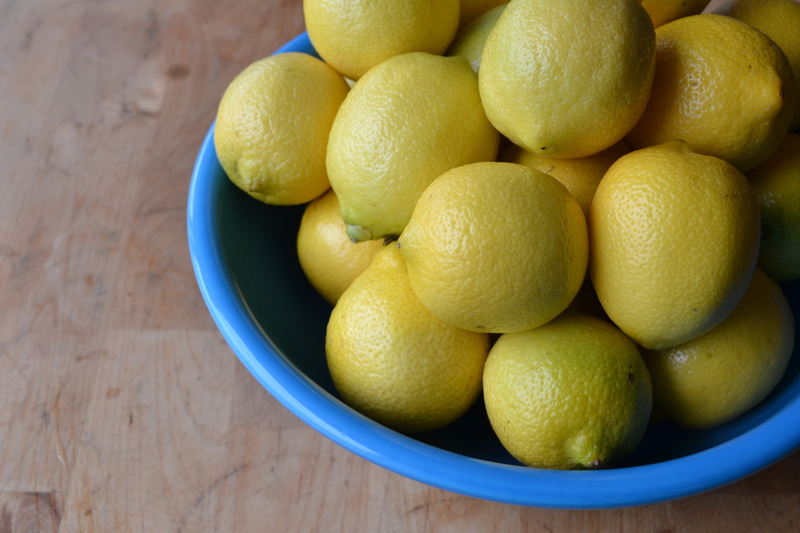 Peel the lemons and the lime using a vegetable peeler or knife so that you are removing both the zest and the pith. 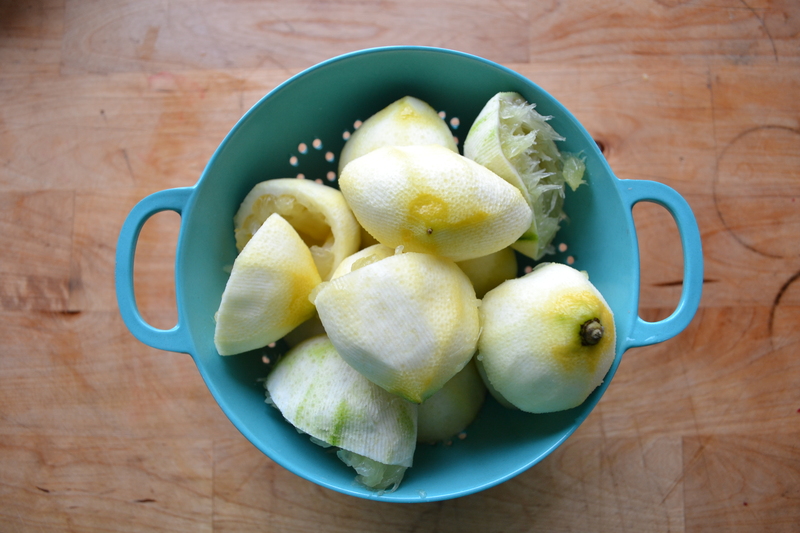 Once skinned, juice as many of the fruits as needed to get 1 1/4 cups. Set the juice aside. Boil the peel in water in a saucepan for 5 minutes. Drain and repeat 2 more times. After the 3rd boil, remove the peel, let it cool before handling it and then chop it up. In the same saucepan you boiled the peel in, combine the sugar, reserved juice, and the 1/2 cup of gin. Cook over medium heat until the sugar has dissolved. Add the chopped peel back to the pot. Bring the mixture to a simmer and cook until thickened and reduced, about 20 minutes. Allow to cool slightly and pour into a sterile jar. Makes 1 pint plus enough to try on some buttered toast.